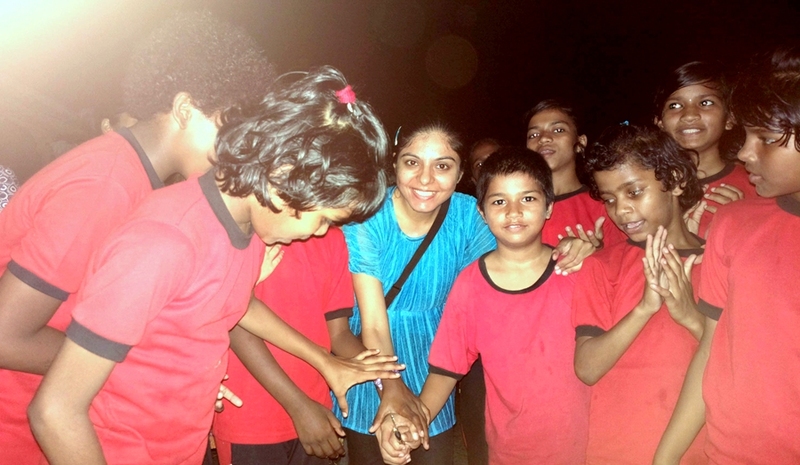 ‘Ravneet Kaur’ the writer and director of the upcoming Hindi feature film – ‘Tears in Khushi’, celebrated her birthday with the orphan girls of ‘Amcha Ghar’ in Bhayander, Mumbai. ‘Tears in Khushi’ is about adventurous voyage of a 4 yr old girl Khushi in the milieu of Cricket World Cup’s excitement. The director, who turned 29 years on 30th September 2012, told that, this was her happiest birthday as she never got so much immense pleasure before. She said that the girls there are so cute and innocent that one wants to be with them every day. When asked her that why not a party and blast with friends, she replied that “ every year I used to celebrate and party hard with the friends but somehow it wasn’t a fulfilling feeling, as I even don’t believe in drinking alcohol, I think it’s better to share your joy with innocent and altruistic kids. She even told that she will love to share some part of the profit from ‘Tears in Khushi’ with this organization. “It’s the Divine who is helping me and because of Him my film is completed, so why not sharing its success with His innocent kids.” – She added. “Tears in Khushi” is expected to release next year in January.